I need a new couch. I want a new couch. And yet, I find myself wholly incapable of buying one. Instead of an exciting big-ticket-item shopping excursion, buying a sofa has dragged me through months of agony. The reason? Just like there are stages of grief you cycle through when a loved one dies, choosing a new couch elicits a similar roller coaster of emotional turmoil. Don't believe me? Go try to buy a couch, and see if any of these feelings that I've been enduring sound familiar. 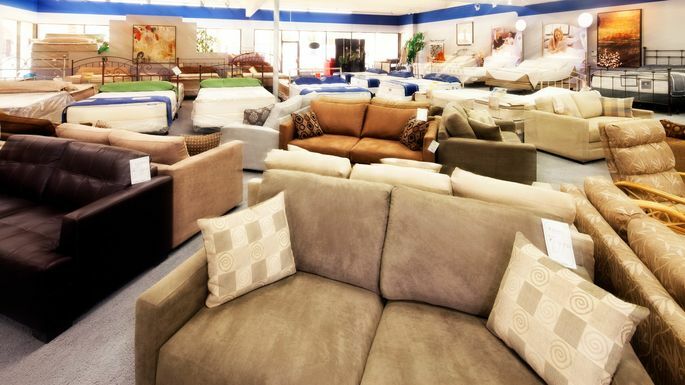 Let’s start with the obvious: Buying a new couch is a First World problem. Our current couch is fine. Really! 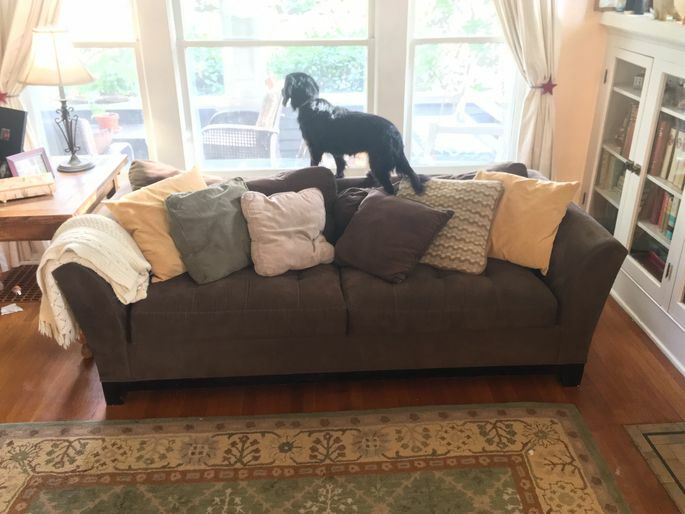 Its espresso microfiber upholstery has fought the good fight against the muddy paws of the family dog; its cushions have stood strong against the countless children who’ve rabidly contorted them to use as a fort. It's a comfy, sturdy workhorse that has served us well. But the couch is a decade old, and at this point, I am more a caregiver than an active user. I carefully vacuum in and around my couch’s tired seats, gently fluff its lumpy back cushions, and cover the 3-inch rip that’s recently appeared in its side with a strategically placed throw blanket. 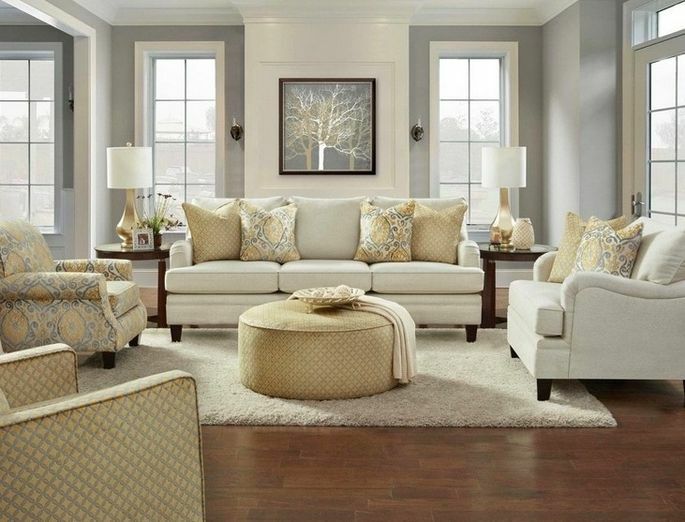 Here’s how I transitioned from my stage of denial to the next stage of couch shopping grief: Over the summer, a friend showed me a picture of the couch she was having custom-made. She talked excitedly about selecting the shape of its feet, the exact shade of emerald for its velvet upholstery, as well as details like button tufts and rolled arms—which I'd never known were things, I must confess. “It’s past time, you know,” she confided, gesturing to her current couch, which looked pristine. Honestly, my first reaction was “Why are you friends with me?” She’d seen my couch, hadn’t she? But soon after, I felt a stirring of something between couch envy and couch embarrassment. How long had I been in denial? Once I conceded that I needed a new couch, a very new emotion took over: anger. I pride myself on being quick and efficient about major decisions. When I went into a Subaru dealership last year and announced I wanted to lease a car, the salesman had to plead with me to test-drive it first. But shopping for a new couch had me stymied. What color did I want? Skinny legs or chunky, hidden feet? A sectional? Or not a sectional? Velvet, microfiber, linen, or some other material that I’d yet to run my hand over? All I knew was that I did not want cup holders in my couch, or little parts of it that reclined, because both remind me of those morbidly lazy humans in the movie "Wall-E."
For pockets of time, I found myself wandering through furniture stores, running my hand over arms of couches. Too long. Too hard. Too low. Too squishy. 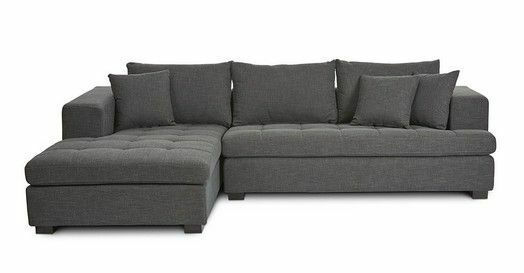 So I gave up on brick-and-mortar stores and scoured the internet instead for the perfect couch. That had its own problems. What if a humongous couch showed up on my porch one day and was the wrong size? What if the “burnt sienna” or “slate” or “navy” color I loved online looked vastly different in real life? The infinite range of couches led me into a dark thicket where I felt lost, aimless, and angry. Who honestly needs so many choices? No one. Who has time to decide? Not me. “Isn’t it pointless to buy a new couch now?” my husband asked, pointing to the dog, then letting his finger wander over to our two cats, our teenage son sloppily mixing together egg nog and apple cider in the kitchen, our preteen daughter who rides horses and often has wayward strands of hay tucked into her clothes. “We should wait,” he advised. And by wait, he meant until we are empty nesters and pet-free. The former is bound to happen eventually, the second, highly unlikely. Nonetheless, I considered this possibility. What use is it to get a new couch if it gets stained, ripped, and beaten down the instant it's inside my home. In the end, though, I refused to deny myself. I forged on. For weeks, I studied couches. I researched couches. I Googled phrases like “couches easy to keep clean” and “couches good if you have pets.” At Ikea, Wayfair, Pottery Barn, Crate and Barrel, West Elm, and Article, I slipped couch after couch—as well as the occasional accent chairs and coffee table on sale—into shopping carts, only to click off the page and never return. I took zero pleasure in any of it. I want a new couch. We’ve clearly established the fact that I need a new couch. So why was it so difficult to actually purchase one? The longer I spent worrying about my new couch, the more ashamed I felt. Weren’t there more important things in the world to worry about than a new couch? Answer: yes. So a few days ago, when my friend came over to share details about her new, gorgeous, and perfectly selected couch (which honestly looks just like her old one), I made a decision. Much like a nurse caring for a geriatric patient, I carefully vacuumed my couch. I cleaned it with a microfiber cloth. And gently, for the hundredth time, I carefully placed a throw blanket over the rip in its arm. Then, I took some of the money that we’d earmarked for a new couch and donated it to the California Community Foundation’s Wildfire Relief Fund—to people who really do need a new couch and have other, more difficult and more “real” decisions to make. Afterward, I sat on my old, tired but good-enough-for-now couch—and for the first time in months, I relaxed. These costs also vary significantly depending on where you’re selling. For instance, some states require that sellers hire a real estate attorney, while others don’t. Real estate transfer taxes also differ by state and, in some cases, by city. Some states don’t have them at all. Fees also can vary by mortgage lender. 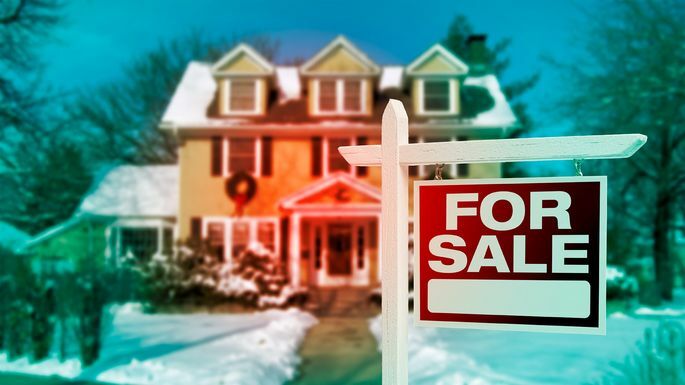 “You have to look at where the variations are bank to bank, municipality to municipality and state to state,” said Linda Page, the 2018 National Association of Realtors (NAR) regional vice president for New York, New Jersey and Pennsylvania. If you’re selling your home, you should be aware of the expenses that can be involved. 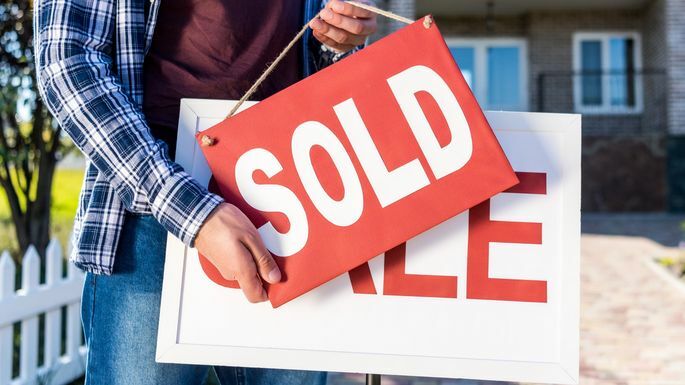 We’ve broken down some of the most common costs associated with selling a home so that you know what to be prepared for. Click or swipe through to see them all. If you find yourself in this scenario, trust us when we say that movingdoesn’t have to ruin your holiday fun. The following tips will help make it less hectic and more bearable. We promise! This year, you can kill two birds with one stone with your holiday cards: they can also serve as your change-of-address announcements. Do you ever open your dishwasher after it runs only to be disappointed? (Even when you load your dishwasher the right way.) It can be so frustrating when "clean" dishes are covered in water spots. But don't rush out to buy a brand-new dishwasher yet. Learning how to prevent water spots will only take you about 30 seconds. The secret is: plain old vinegar. You can use vinegar to clean your house, keep towels soft and fluffy, freshen up your coffeepot and make the microwave sparkle. Yes—it also removes water spots from your dishes! The problem is most likely your water. Hard water has a high mineral content, and over time it causes build-up on your dishes (as well as your faucets, shower heads and bathroom tile). The long-term fix is to buy a water softener that will remove calcium from your water. Not everyone can afford a water softener. The good news is that vinegar is a much, much cheaper solution. Why does vinegar fix the problem? Common white vinegar is actually a mild acid. That's exactly what you need to combat hard water! But unlike other store-bought cleaners and acids, it's safe and non-toxic. Have we mentioned that it's cheap? You can buy a gallon of store-brand vinegar for about $2. Compared to other dishwasher rinse aids, you'll save a chunk of change. Pro Tip:Because vinegar is an acid, don't use it in the rinse aid compartment of your dishwasher. Vinegar can actually damage the rubber components of the machine, and leave you with a bigger problem than spotty dishes. Fill a dishwasher-safe bowl with vinegar. Place the bowl on the top rack of your dishwasher. Then, run the dishwasher as usual. That's it! Your plates, glasses and silverware will be squeaky clean without a spot in sight. To make your dishes even cleaner, learn how to clean your dishwasher. Do you love hosting dinner parties, holiday gatherings, even full-on New Year's Eve bashes at home? Then you'll want to make sure your house is rigged with a few essential features that make entertaining a breeze. 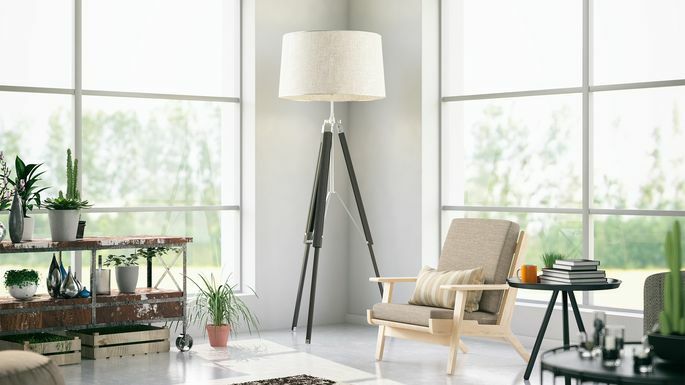 Whether you're looking to buy a new place or considering a renovation of the place you already have, put these seven must-haves at the top of your list—and then let the good times roll! It seems pretty obvious, but without a sizable driveway that you can designate for parking, it'll quickly become a royal pain to have more than a few friends over for dinner. If the new home you're thinking about doesn't have a long drive, check posted signs and local regulations for street parking. "Cul-de-sacs need a nearby roadway for parked cars, or else your tiny street will become cluttered and may cause an illegal parking situation—and you'll end up with annoyed neighbors," explains Reba Haas, a real estate agent in Seattle and CEO of Team Reba at Re/Max Metro Eastside. Or think about getting a quote from a contractor or paver to see whether the existing space you have can be reconfigured for more cars. "When I have clients who say they love to have people over, we discuss 'how many butts' they want in the kitchen," notes Haas. Do a little math when you're house hunting or thinking of expanding this room, and decide how many people you want space for around your island—and then factor in a bunch of hangers-on. You probably need to add several more to your number, because people like to congregate in the kitchen, she says. Any porch, deck, or patio space in a potential new home is a boon for born entertainers. And even if your outdoor area is on the small side, it can still be a plus at a party. Use it to set up the bar, as a lounge for smokers or a place to serve cocktails and appetizers. "Outdoor living space has become very popular in the past couple of years," says Haas. In areas with inclement weather, like the Pacific Northwest, covered space is truly a premium item—right up there with outdoor fire pits and kitchens. A powder room on the first floor is a definite must-have when you're entertaining, because it saves your guests from traipsing upstairs or (worse) using your own master bath. And if its location is well away from the main entertaining rooms, all the better. "It's preferred if the half-bath isn't placed in the middle of your public space," recommends Haas. "You'd be amazed how many builders come up with designs where privacy in the loo isn't really thought out!" For this feature, you'll want to seek out lots of kitchen shelving, a walk-in or butler's pantry, built-in china cabinets, or multipurpose units. "Home entertainers are always looking for lots of creative storage, particularly those who live in houses that don't have an attic or basement," says Kathleen Mathien, a designer at Closet Factory. For these homes, wall units are a brilliant fix. "They can incorporate a wine rack, extra refrigerator, and cabinets for glassware and dishes, as well as a countertop that functions as a buffet for serving food," she explains. One of the most requested home features for entertaining is a wet bar, reports Haas. 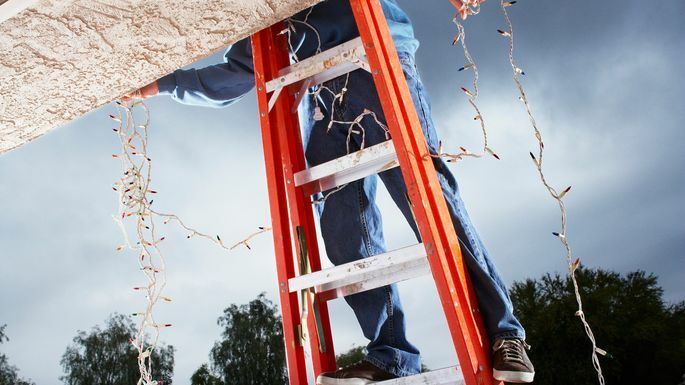 But if the house you're in love with doesn't have this item, an extra closet or nook underneath a staircase might be the perfect spot to install one. "Be sure to request space to store wine, drawers for cocktail napkins and bottle openers, and adjustable shelves behind clear or frosted glass, so you can fit liquor in all shapes and sizes," recommends Andrew Newcomb of Closet Factory. A party house with extra bedrooms is a bonus for overnight guests, but sometimes you can't devote a whole room to a single purpose. The solution: a pull-down Murphy bed. "A wall bed system gives homeowners the ability to make the space multifunctional," explains Kayla Patterson of Closet Factory. "I've worked with several clients who want to host out-of-town guests but can't completely give up their home office." A wall bed offers a sleep spot, as well as added shelves and drawers that can be built in to the design.